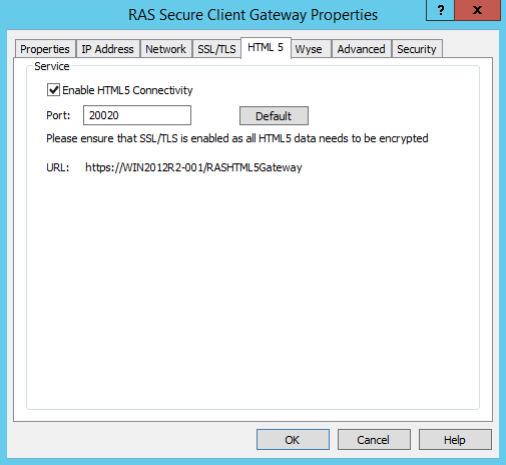 Note: To enable HTML5 support on a gateway, SSL/TLS should be enabled and configured. When HTML5 support is enabled on a Remote Application Server Secure Client Gateway, users can launch and work with published applications inside an HTML5-enabled web browser (no Remote Application Server client software is needed). Access to the HTML5 gateway needs to be enabled using an HTML5-capable browser. (Optional) Tick the option Allow Only SSL v3 to only allow SSL v3 connections. By default, the Secure Client Gateway supports both version 2 and version 3 SSL. Click Save to save all the details and generate a new self-signed certificate. The private key file and certificate file will automatically be populated. Select the Enable HTML5 Connectivity option on the HTML5 tab. You can also specify the Port which the gateway uses to connect to the HTML5 module. Once done, the HTML5 gateway is all setup and ready to go. On the login page, specify your user name and password and click Login. Your published resources are displayed on the virtual desktop in the browser. 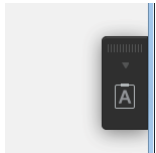 To launch an application, double-click on its icon. The application will run inside a browser and will look no different than if run in an RDP environment or locally. Click the toolbar on the right side of the browser window. This will open the Remote Clipboard window. To copy text from the local computer to a remote application, type (or paste) it in the Remote Clipboard. The typed (or pasted) text is automatically saved in the remote computer clipboard, so you can use a standard paste command (e.g., Ctrl+V) to paste it into a remote application. To copy text from a remote application to the Remote Clipboard, highlight it and use the standard copy command (e,g, Ctrl+C). 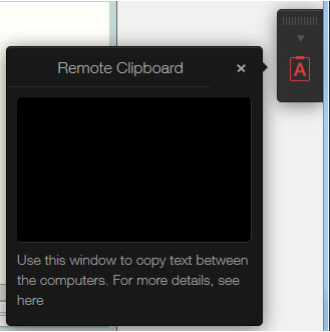 The text will appear in the Remote Clipboard from where you can copy it to any application locally. Settings: Allows you to change the sound, redirection, and keyboard compatibility settings. Change Password: Allows you to change your password. The door-with-arrow icon disconnects from the HTML5 gateway.